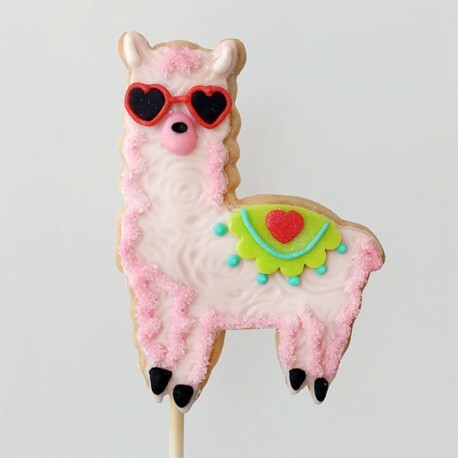 Loving lama Valentine shortbread on a stick decorated with our delicious marshmallow fondant. Just as tasty as they look, these gourmet cookies will certainly bring magic, fun and wonder to your Valentine! 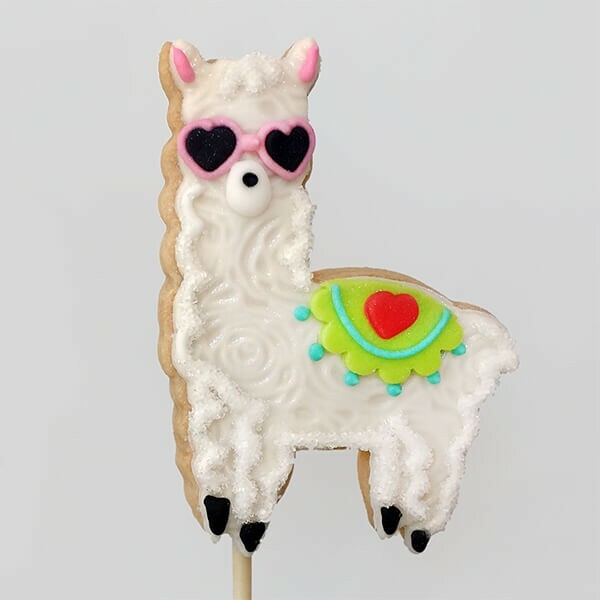 Flavour Vanilla shortbread decorated with our marshmallow fondant. Wrapped in food grade cello and organza ribbon.